Everything you need to find a laptop you’ll love. In this guide we cover the most important things to consider before buying a new laptop, along with all the information you need to make sure your new laptop does exactly what you want it to do. If you still have questions or want to see the latest features and tech for yourself, why not call into your nearest store and speak to one of our colleagues, who will happily help you find the perfect laptop. A laptop’s operating system determines the way the interface looks, how it works, and the types of software you can use. There are three main operating systems, each with their own benefits. Windows is the most popular of the three main operating systems, so if you’ve used a PC before, chances are it ran on Windows. Windows 10 has a familiar look and feel, with innovations in security, personalisation and productivity. It’s powerful yet easy to use, with all your files and important documents within easy access. If you’re looking for a new PC for university, gaming or creative computing, Windows is a great place to start. 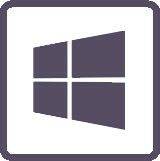 Works with all your devices: Whether you’re using a smartphone, tablet, 2 in 1 or PC, Windows works the same way. Navigation and finding files is simple, regardless of what device you’re using. Windows 10 works with the software and hardware that you already own, so you don’t need to buy new programs or devices. 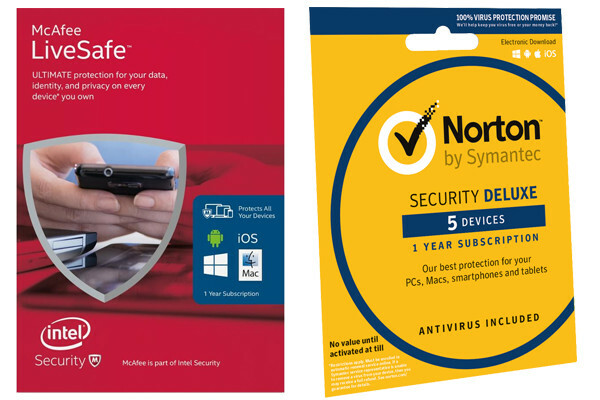 Throughout the supported lifetime of your device you’re protected against viruses, malware and phishing attacks. The gamer’s choice: Windows has the most games available and is the only real choice for a gaming PC. If you’ve never used a PC before, it can take a while to learn the layout and navigation. OS X is an operating system exclusive to Apple computers. It features a clear desktop layout that’s focused on ease-of-use and stability. If you’re new to computing or prefer simple navigation, OS X is a good choice. Works with all your Apple devices: OS X is designed to work flawlessly with other Apple devices, so if you have an iPhone or iPad transferring files, contacts and apps between them is simple. They share a similar layout too, so you’ll be much more at home and find navigation easier. Ideal for design: Some of the most popular design software, such as Photoshop and InDesign, is optimised for OS X and can give you improved stability and performance. Some popular software and accessories aren’t compatible with OS X, so if you want to use a specific piece of software or accessory, you may need to find an alternative. Chrome OS is a web-focused operating system that’s designed to get you to your online content as quickly and as easily as possible. Anything unnecessary has been removed, making it ideal for people that want a simple way to get online. There are different types of laptops to suit different people and uses - have a look at the varieties below to see which one suits you best. 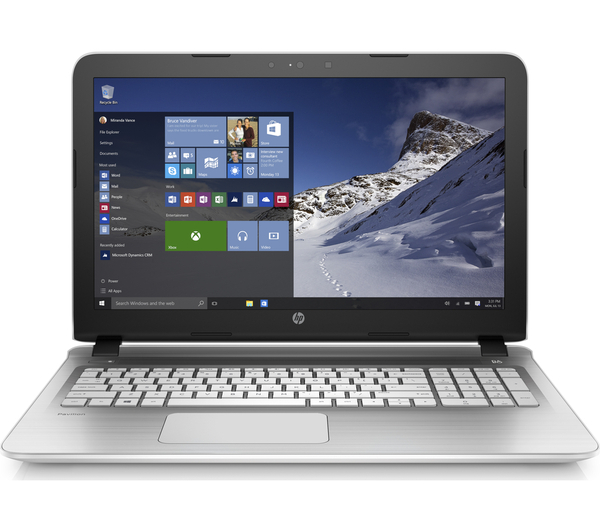 Windows laptops are available in a huge variety of different specifications. From great-value laptops for college work to powerful workstations for media editing, there’s a Windows laptop to help you get things done. 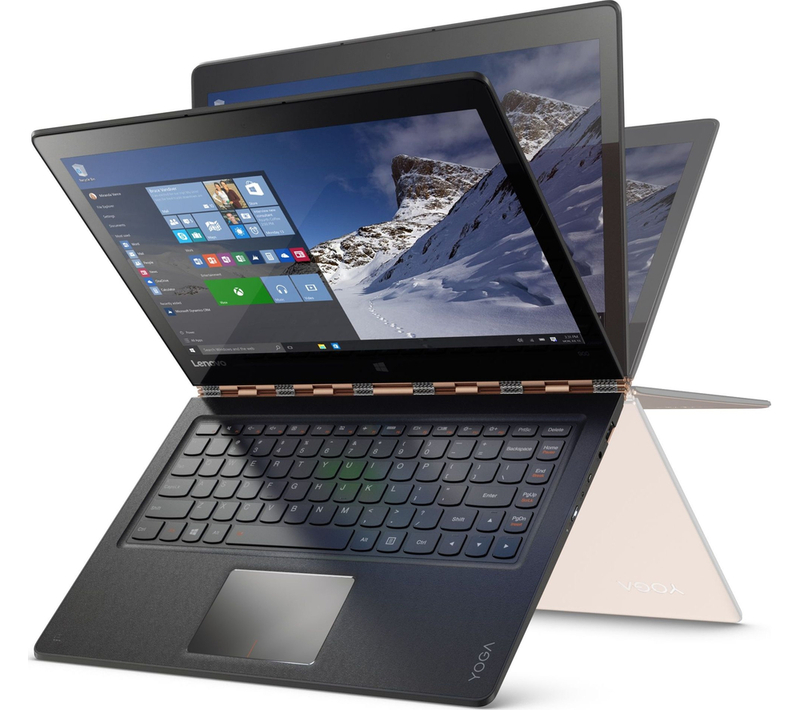 A 2 in 1 combines the best of a laptop and tablet in one device. You can type notes, essays and reports using the keyboard and then transform the 2 in 1 into a tablet in seconds for browsing the web or watching a film. All 2 in 1s run on Windows 10, so whatever you would normally use your laptop for, a 2 in 1 can make it easier. MacBooks look great and are ideal for everything from browsing the web to graphics design. They’re constructed from premium materials and feature Apple’s exclusive OS X operating system. 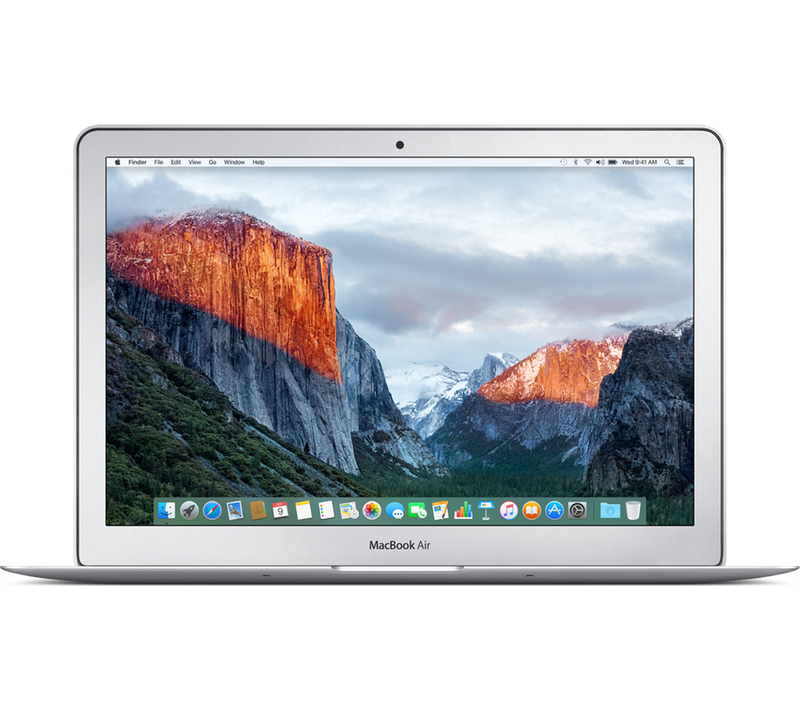 If you’re looking for a laptop with distinctive styling and enough power to run demanding software quickly and easily, a MacBook is ideal. Gaming laptops are focused on performance. They feature the powerful processors and dedicated graphics cards needed to run today’s most demanding games. Like normal Windows laptops they’re available in a variety of different specifications, so whether you’re just getting into PC gaming or want the most powerful laptop possible, we have you covered. Chromebooks are designed to get you online as easily as possible. 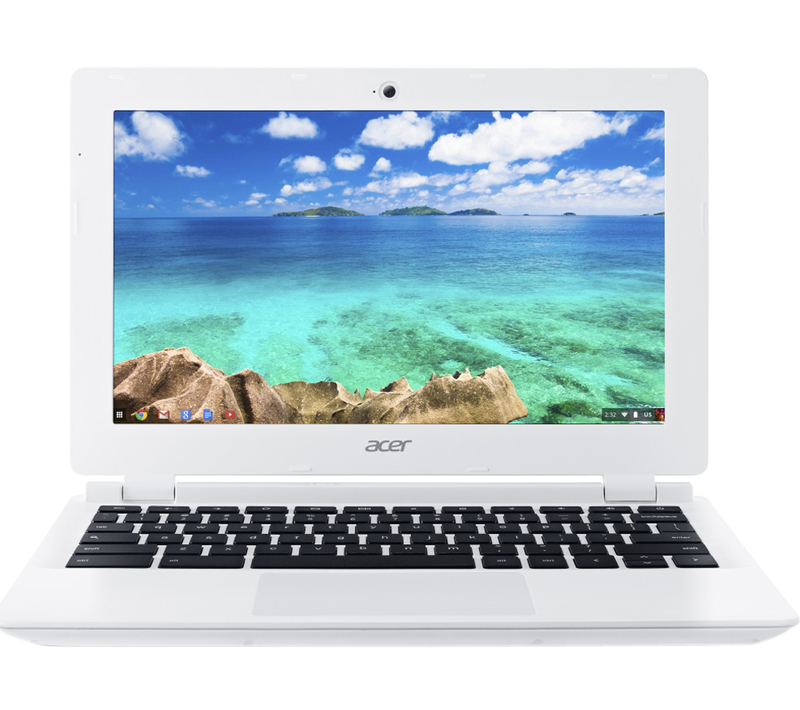 They feature the stripped-back Chrome OS operating system that makes navigation simple, making them a great choice if your daily computing is entirely web-based. They’re the only laptops with access to Google Play (the same app store used by Android phones), so you have access to over a million apps along with music, films, and books. The processor is the brain of your laptop. Whenever you move the mouse, open a program, or load a file the processor makes it happen. On our product pages we give you all the information necessary to decide whether a processor is powerful enough for your needs. Every laptop we sell has at least a dual-core processor. This allows it to handle several things at once so you can move quickly between different windows, with more apps and tabs running at once. 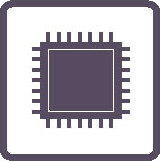 Quad-core processors are great for running demanding software quickly, such as photo editing and music production programs. Modern creative software is optimised to run best with multi-core setups. What is the clock speed? This is measured in GHz, and determines how fast the processor runs. A higher clock speed means your laptop can load software and files faster and that it will run smoother during normal use. Some processors feature Turbo Boost (Intel®) or Turbo Core (AMD) technology, which increases the speed of the processor to match the task at hand. This means the laptop consumes less power during light computing tasks, which reduces power consumption and increases battery life. What is the Memory cache? 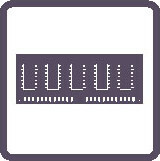 Before tasks are managed by the processor, they queue up in the memory cache. A bigger memory cache allows the processor to work through demanding tasks quickly. You only really need to worry about this if you plan on running professional-level creative software like Cubase or Photoshop - if you are, look for 4 MB and over. Random-access memory (RAM) is an important spec to consider if you’re looking for a high-performance PC. It’s worth noting that RAM has nothing to do with the amount of documents you can store on your laptop - that’s the role of the storage device. Before they reach the processor computing tasks are stored in the RAM, where the processor picks them up and makes them happen. More RAM allows the processor to take on more at once - vital if you use demanding software. How much memory (RAM) do I need? Below is the amount of RAM we recommend for different activities. If you’re unsure about whether you need a larger amount or not, more RAM improves the general performance of your PC along with being able to handle more demanding software, so you’ll never lose anything going for more RAM. Storage refers to the amount of space your laptop has for software, documents and everything else you save. There are four main types of storage available in laptops; HDD, SSD, SSHD and eMMC drives. What is a hard disc drive (HDD)? 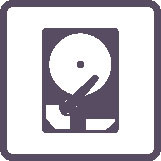 A hard disc drive is the most common type of laptop storage. Laptops are available with a wide range of different HDD capacities to suit any requirement. If you want to save a lot of films, music and other large files, look for a laptop with at least a 1 TB hard drive. Unlike HDDs, solid-state drives have no moving parts. While they have lower capacities than normal hard drives they’re much thinner and run much faster, making them ideal for high-performance computing. However, they are more expensive than other drives, so tend to be featured on more premium or performance-focused laptops. What is a solid-state hybrid drive (SSHD)? Solid-state hybrid drives combine the capacity of a HDD with the performance of an SSD. They work by storing your most accessed information in a solid-state memory cache so that it can be reached much quicker when needed. This gives you faster loading, saving and booting so you can enjoy quicker and more responsive computing. They aren’t quite as fast as solid-state drives but have higher capacities and don’t cost as much, making them the ideal compromise for everyday computing. What is an embedded multi-media card (eMMC)? An embedded multi-media card is flash storage (the same technology used in memory sticks) that’s attached to a device’s motherboard. 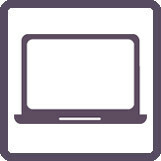 eMMC storage is most common on tablets, but is featured on some laptops, 2 in 1s and Chromebooks. It’s a great solution for smaller devices, although it doesn’t offer the capacity and performance benefits that other storage devices do. Screen size is a great way to quickly narrow down the huge amount of choice you have when looking for a new laptop. Until recently the most common laptop size was 15.6” - now smaller laptops are increasing in popularity as advances in technology mean you don’t need to sacrifice performance for a more portable device. Which screen size will work for me? If you want a perfect mix between portability and visibility, a laptop with a 14” screen is ideal. Smaller screens, such as 11.6” and 10.6”, are even easier to carry around but may be too small if you spend a lot of time typing documents or looking at spread sheets. Laptops with 15.6” screens are the most common and are great if you’re spending more time working at a desk than on the go. The largest screen size available today is 17.3”. While laptops with this screen size can be difficult to carry around, they offer the clearest view of your content and are great for multimedia. What are the benefits of Full HD screens? Full HD screens (1080p) feature a higher number of pixels than screens with standard resolutions. This allows them to display much more detail, which makes them ideal for watching films and gaming. Even everyday computing such as browsing the web and writing essays benefit from sharper text and more detail, so if you’re going to be spending a lot of time on your laptop a Full HD screen is worth it. A lower resolution screen doesn’t show the detail needed for high-end media work, so if you need your laptop for graphic design or media editing, a Full HD screen or better is a necessity. What are the benefits of 4K screens? 4K screens are even more detailed than Full HD screens. They have the same number of pixels as the most advanced 4K TVs, but in a much more compact package. If you love film or subscribe to 4K media streaming services, you can see the highest-quality content at its absolute best. However, laptops with 4K screens are quite expensive as dedicated graphics and very powerful processors are needed to display content with this much detail. You control your phone using a touchscreen, so why not navigate your laptop the same way? It makes browsing video apps, scrolling through social media, navigating websites and more effortless. Touch control is fast, fun, and works the same way it does on your mobile phone so you’ll pick it up in seconds. Connectivity refers to the way your laptop connects to the things around it, including the internet, external storage, screens and other devices. There are a number of key features to look out for. AC WiFi is the fastest way to connect to the internet. Any laptop with AC WiFi can work with fibre optic broadband to give you the fastest connection speed possible - perfect for streaming HD videos and gaming online. AC WiFi is available in all laptops over £349, so regardless of your PC needs you can get the best from your network connection. USB ports let you connect your laptop to a number of different accessories and devices including your external mouse, printer, camera and mobile phone. USB-C is a new type of USB port. It is smaller and has no ‘right way up’, so cables and devices can be plugged in first time, every time. 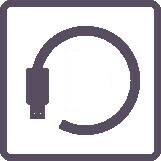 USB-C is backwards compatible with older USB ports too, although you’ll need an adapter to connect devices with USB 3.0 and 2.0 ports. USB 3.1 is a variety of USB-C, which features the fastest data-transfer speeds ever from a USB port. Although currently not that common, USB 3.1 is worth looking for if you regularly transfer large files between your laptop and other devices, such as uncompressed images or external storage. HDMI connections allow you to easily connect your laptop to any modern TV or monitor. It’s the same connection used by DVD players, games consoles, SKY TV boxes and other home entertainment systems. HDMI ports transmit Full HD video signals, so you can enjoy detailed video on any TV or monitor, even if your laptop has a lower-resolution screen. Along with video, HDMI transmits audio so you only need to connect one cable to your TV. VGA ports are an older type of video output although many monitors and TVs still support it. Unlike digital HDMI and DisplayPort connections, VGA uses an analogue video signal which can’t display content in Full HD. VGA doesn’t support audio either, so you’ll need a separate cable if you want sound. If you regularly need to connect to an external screen, consider a laptop with an HDMI port instead as VGA is normally not included on the latest computers and screens. Along with the main components and features, there are a few other things you might want to consider before choosing your laptop. Do I need a laptop with a long battery life? 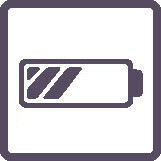 If you regularly use your laptop on the go, a longer battery life is useful. A laptop with 10 hours or more of battery life gives you the freedom to work all day without charging - ideal for taking notes in meetings, checking emails on the commute, or watching a film during down time. 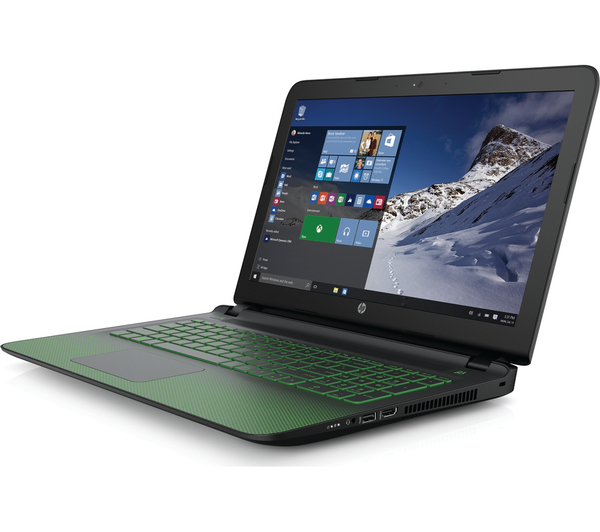 Do I need a lightweight laptop? If you spend a lot of time away from home or travel into university, a lightweight laptop can really help reduce the weight you’re carrying. You might be surprised at just how light some of the latest laptops are. Laptop design has improved dramatically over the last few years, with some particularly design-focused machines becoming incredibly desirable for their looks alone. If you want a beautifully designed laptop, the latest ultra-portable models are impressively thin and made entirely from premium materials, so you’ll stand out wherever you go. Do I need dedicated graphics? A dedicated graphics card is a processor with the specific role of handling visuals. They are available in varying specifications and range from those designed to give you improved multimedia playback, to high-performance cards made to run the latest games at their absolute best. If you plan on gaming, editing videos or creating visual media, a dedicated graphics card is vital as most games and demanding visual software won’t run correctly without one. Is my laptop optimised for Windows 10? Windows 10 features some great new features and all of our laptops are designed to run perfectly with the new operating system. Some go further and feature a dedicated button for Cortana, which gives you fast access to the new personal assistant app built into Windows 10. If you want to really make the most of the latest Windows operating system, look out for laptops with an Intel® RealSense™ camera. This advanced webcam allows you to use Windows Hello, the all-new facial recognition system that unlocks your laptop when you sit down in front of it and locks it again when you move away. How do I get improved audio? If you want to listen to music and watch films on your laptop, look out for improved audio from Bang & Olufsen, Beats Audio, Harman Kardon or Skull Candy. Along with high-quality speakers, laptops with improved audio also feature more options to fine tune the sound to your preferences. Branded audio is a great feature for anyone that loves music. Once you’ve found the perfect laptop, there are a few more things you should consider. Software covers all of the applications you use on your PC, from Office, Internet Security and Anti-Virus to photo and video editing. Most PCs don’t come pre-installed with essential software for keeping yourself safe online and daily computing means you need the right tools to be productive and stay secure. You can receive your software via home delivery, collect it in store, or via download, making it easy to get everything you need. The amount we share online is increasing, so we recommend that you install Anti-Virus or Internet Security software to help keep you and your data safe. Internet Security features anti-virus protection along with additional features such as parental control and password management. So if you bank, save files, share photos, or shop online, you can enjoy peace-of-mind knowing that your personal information is protected. Most PCs don’t come pre-installed with word processing, spreadsheet, or presentation software. These are vital for university, school or business computing. 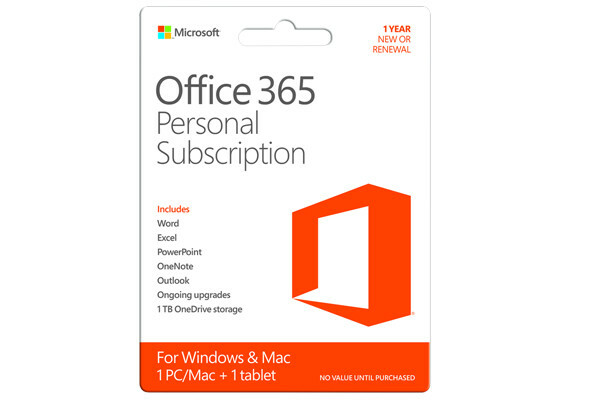 We have the full range of Microsoft Office software to suit everyone from families to small businesses, so you can work and create professional documents easily wherever you are. Creative software lets you edit photos, cut videos, record music, design professional-looking visuals and more. Whatever project you’re about to take on, we have software to help you create something to be proud of. Educational software includes everything you need to help you and your family develop their education or learn something new. Can I save by buying all the Software I need when I buy my PC? In store and online we have software bundles that offer big savings over buying separately. 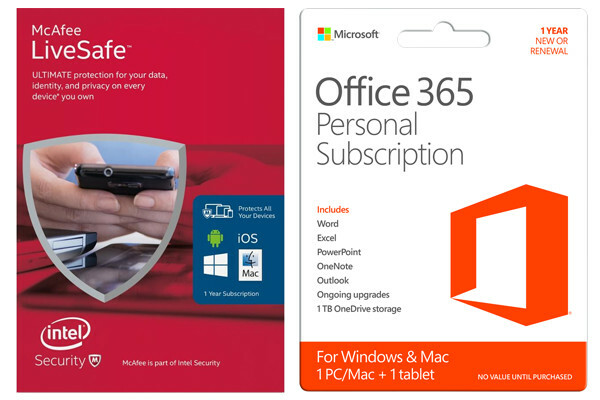 You can also save if you buy Office or security software at the same time as a new PC, Mac, Phone or Tablet. There are too many offers to list here, so have a look at the product pages or ask in store to find out more. How can I get my Software? Home Delivery: Choose your software and have it delivered, just like you would any other item. Collect in store: Reserve online and collect your software in any of our stores. Download: Buy now and download straight away. Just click ‘Buy Now for Download’ on the product page of any applicable software. If you delete the software or reset your PC just log into your Currys PC World account to download it again. The Cloud is another term for online storage. You can access the Cloud from any online device, so you can save a file at work, edit it on your phone and finish it at home. Cloud storage is great for expanding the storage capacity of your laptop or smartphone to give you almost unlimited space for music, films and documents. External storage gives you huge amounts of space to store data. External hard drives are ideal for backing up large amounts of data from a desktop PC, while portable hard drives are perfect for slipping into your laptop bag and carrying with you for extra storage space on the go. 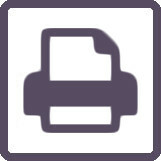 From occasional photos to large volume document printing, a printer can make education and business much easier. If you’re heading off to university, an all-in-one printer can save you trips to the library to print, scan, and copy, so that handing in hard copies of projects is easier. In order to keep your new laptop protected and looking its best, we have a huge range of cases and bags to keep it safe when you’re out and about. An AC router gives you the fastest connection speed possible from your home network. Most new computers and phones feature AC WiFi so upgrading your router can improve the quality of video streaming and speed up downloads as well as everyday browsing. We have solutions to any networking problems you have, call in and speak to one of our knowledgeable colleagues to find out how to fix it. Why should I add a Care Plan to my purchase? We want you to get the best from your new PC. Our Care Plan gives you the peace-of-mind to use your laptop wherever and whenever you like. If your laptop breaks down outside of the manufacturer’s warranty or through accidental damage, we’ll repair it within 14 days and give you a loan laptop to use in the meantime. If we can’t repair it, we’ll give you a brand new one at no additional cost. You also get a yearly health check, data recovery, virus removal, and 24/7 help and advice from the experts at our UK-based contact centre. How do I set up my new laptop? When you get home simply turn your new laptop on and follow the instructions on the screen. If you’d rather open the box and your laptop just work, we can set it up for you the way you like. We can create your user account, download apps, install updates, load software and do anything else you need.